Below is a look at our asset class performance matrix showing total returns for key ETFs that we track on a regular basis. 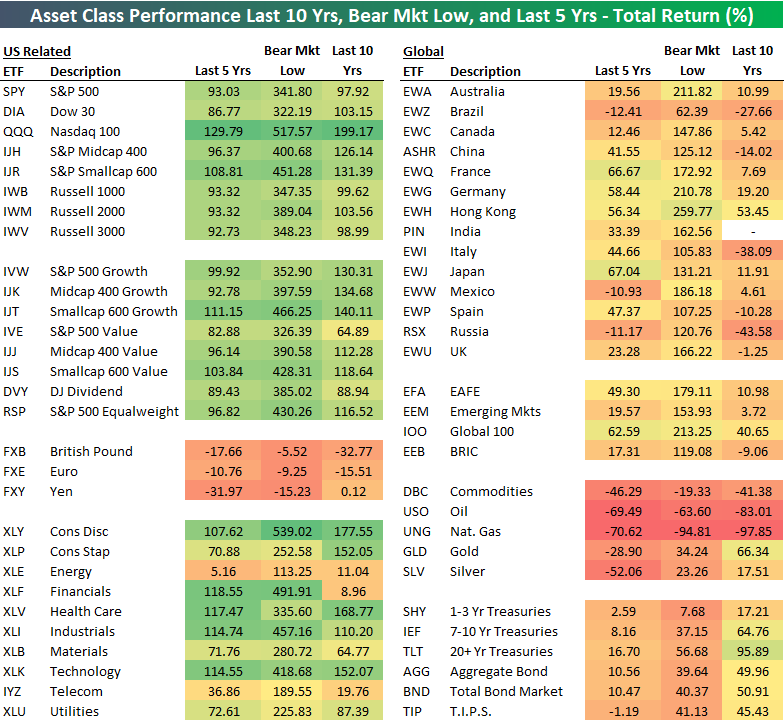 Since today marks the 10-year anniversary of the start of the Financial Crisis bear market for the S&P 500, we thought it would be helpful to see how various asset classes have performed over the last ten years. We also include change from the ultimate low of the bear market on 3/9/09 as well as five-year returns. We'll let the table do the talking on this one!